After 5 years of good service, we’ve decided to retire the old Newspaper Club logo and let our mascot (only ever known as “The Dude”) go to the great paper round in the sky. Choosing a new mascot was not a decision that was taken lightly, and we want to share some of the thought that went into it. Ben told the story of the old logo when it was developed in 2009. Opinions were always mixed – some people loved it and others hated it. 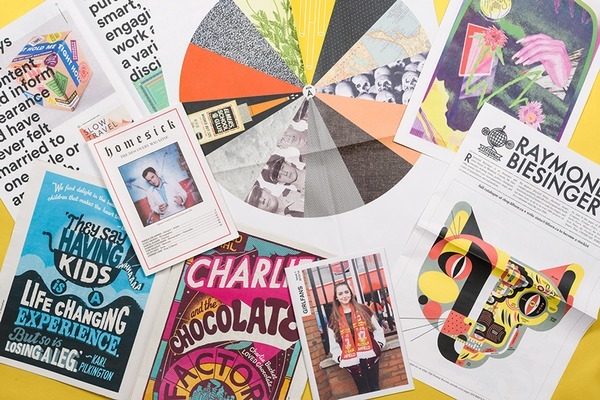 On a practical level, the details and mix of strong colours in our mascot made him difficult to scale and a challenge to print – especially on a newspaper. After canvassing opinion, the consensus was that the paperboy idea worked, we just needed a new model. 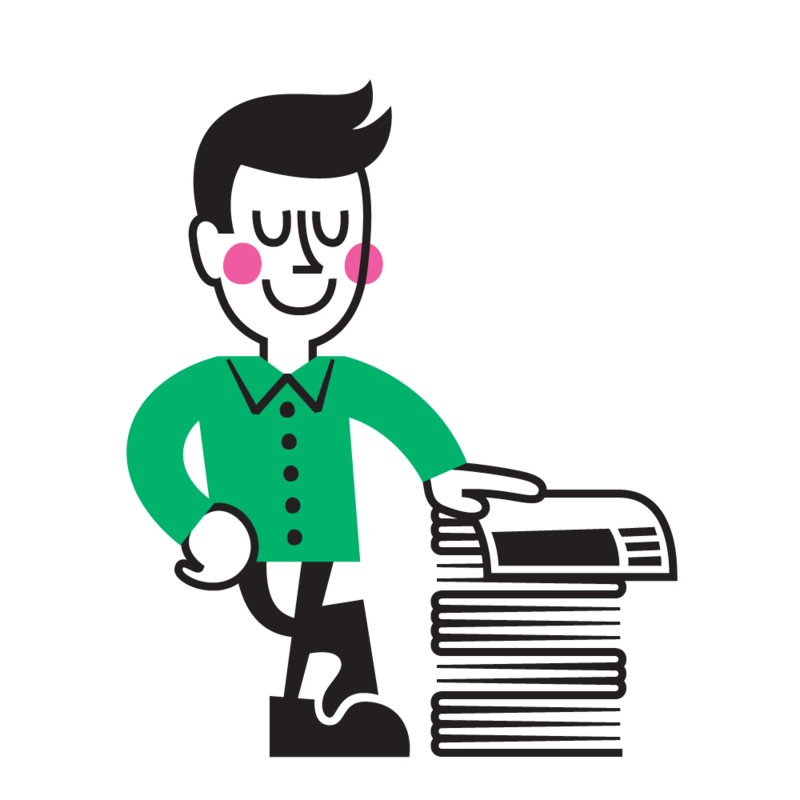 We approached D8 in Glasgow and asked them to create a paperboy with a simpler design, which was easier to adapt for different uses. 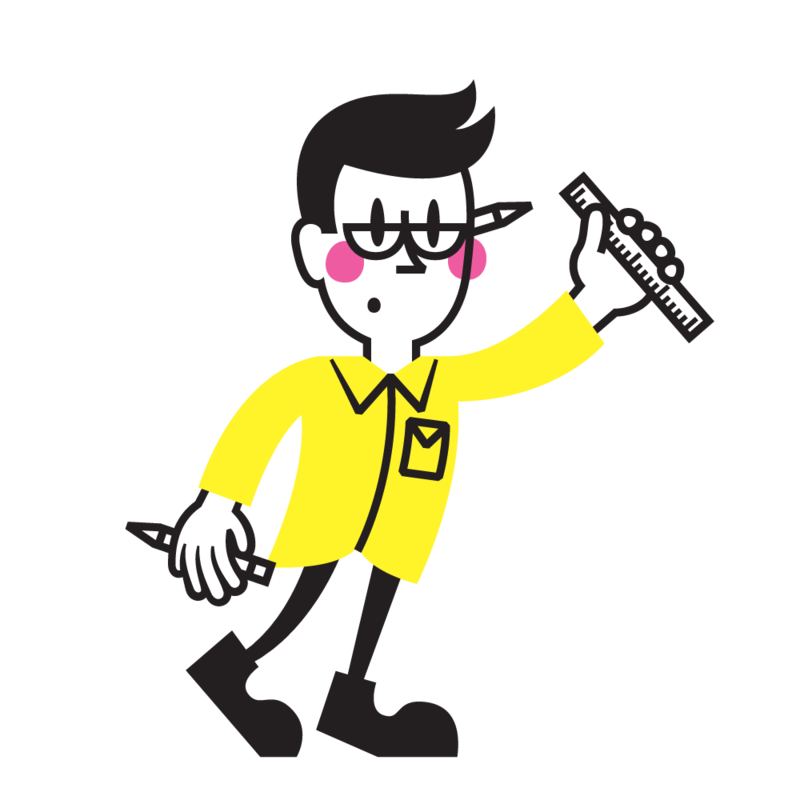 We took inspiration from great character mascots like the BIC Boy, Mr. Minit, and MailChimp's Freddie. 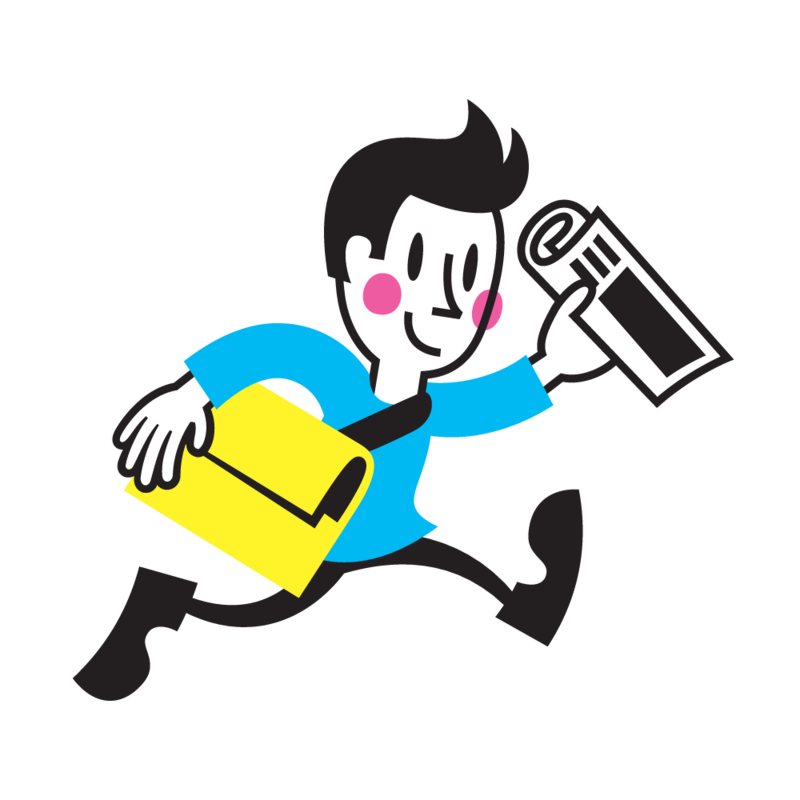 We wanted our new paperboy to feel like he had a life of his own, and to use him in different ways across our website and printed materials. The challenge was to create a figure with a personality that is simple and clear enough to work online and in print. We learned what we could from old posters and adverts (and had fun collecting them on a Pinterest board). Classic illustrators like Daphne Padden and Raymond Savignac do this so well with the delicate curve of a line. We studied their work to develop a friendly character with a minimal amount of detail. 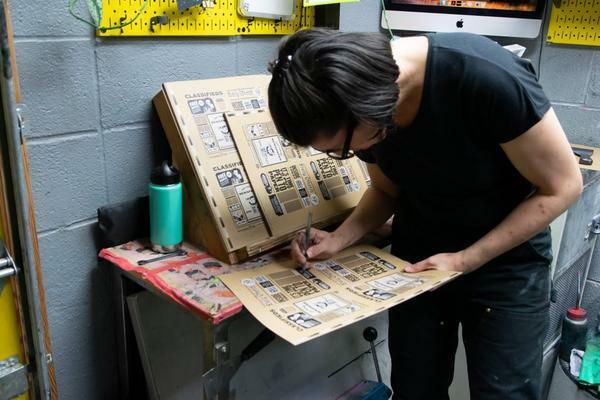 After a few weeks of honing the design, we finally found our new paperboy. We're pleased to introduce what we hope is a friendly new face for the company as we roll out some changes across our website. Thanks to the old joke, it wasn't too difficult to find a name for him. What do you call a paper boy? Russell.